A new study from the Harvard-Smithsonian Center for Astrophysics suggests that if life can travel between the stars (in a process called panspermia), it would spread in a characteristic pattern that we could potentially identify. Cambridge, Massachusetts – We only have one example of a planet with life: Earth. But within the next generation, it should become possible to detect signs of life on planets orbiting distant stars. If we find alien life, new questions will arise. For example, did that life arise spontaneously? Or could it have spread from elsewhere? If life crossed the vast gulf of interstellar space long ago, how would we tell? “In our theory clusters of life form, grow, and overlap like bubbles in a pot of boiling water,” says lead author Henry Lin of the Harvard-Smithsonian Center for Astrophysics (CfA). There are two basic ways for life to spread beyond its host star. The first would be via natural processes such as gravitational slingshotting of asteroids or comets. The second would be for intelligent life to deliberately travel outward. The paper does not deal with how panspermia occurs. It simply asks: if it does occur, could we detect it? In principle, the answer is yes. The model assumes that seeds from one living planet spread outward in all directions. If a seed reaches a habitable planet orbiting a neighboring star, it can take root. Over time, the result of this process would be a series of life-bearing oases dotting the galactic landscape. “Life could spread from host star to host star in a pattern similar to the outbreak of an epidemic. 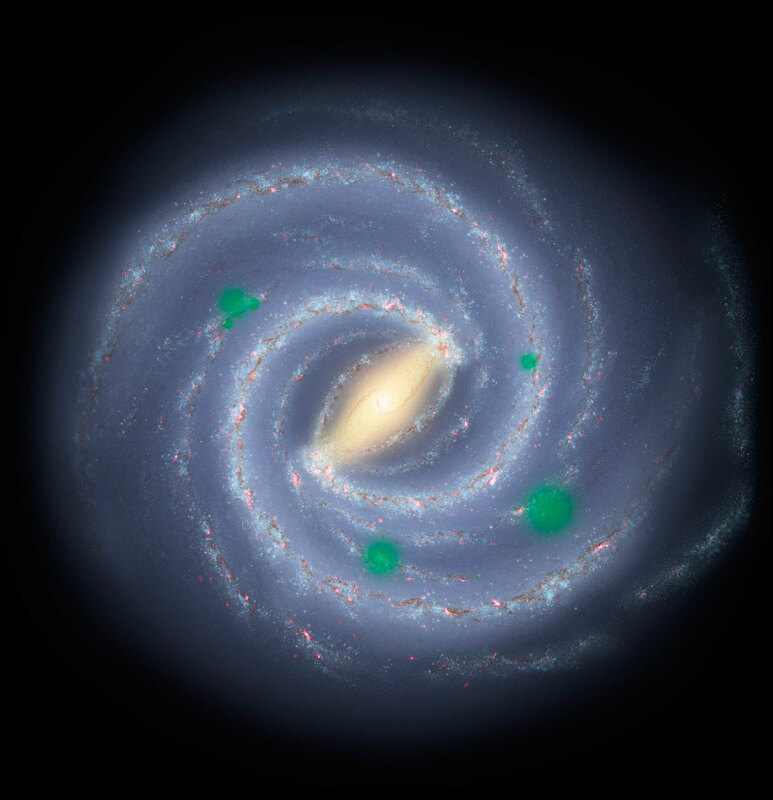 In a sense, the Milky Way galaxy would become infected with pockets of life,” explains CfA co-author Avi Loeb. If we detect signs of life in the atmospheres of alien worlds, the next step will be to look for a pattern. For example, in an ideal case where the Earth is on the edge of a “bubble” of life, all the nearby life-hosting worlds we find will be in one half of the sky, while the other half will be barren. Lin and Loeb caution that a pattern will only be discernible if life spreads somewhat rapidly. Since stars in the Milky Way drift relative to each other, stars that are neighbors now won’t be neighbors in a few million years. In other words, stellar drift would smear out the bubbles. This research has been accepted for publication in The Astrophysical Journal Letters. Be the first to comment on "If Life Can Travel Between The Stars We Should Be Able To Detect It"